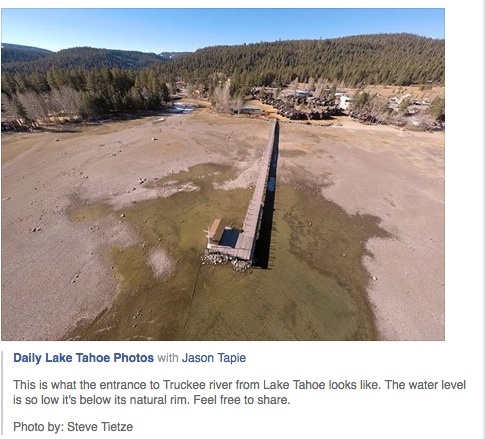 Published January 26, 2015 at 485 × 439 in Lake Tahoe down 7″ and dropping during our “wettest” month. Aerial view of the Tahoe outlet into the Truckee River in January 2015. Snowpack is non-existent.